**STOP PRESS**Its new in town, But don't be fooled, its well researched and proven! The year started with some degree of excitement at Maximum Wellbeing Clinic, at the Whitianga Summer Festival that we were part of during the Christmas - New Year period we had the opportunity to experience and test a new device - yes new toys for Christmas, whats new about that? In this particular case the new device proves there are some pretty clever people involved in the development of healing devices that will allow us to provide better support in many situations and for many more customers in the future. While the device is very new for us, the basis of the technology has been used, tested and recognised for many years, and in fact the potential is only just starting to be revealed as a greater understanding is gained from ongoing testing and research. We call it PEMF therapy, and it stands for Pulsed Electromagnetic Field Therapy. PEMF therapy has been used and trialled extensively for decades for many conditions and with a variety of medical disciplines, excitingly the results can be seen in animals as well as humans. The National Institutes of Health have made PEMFs a priority for research. PEMF has even been given the tick by the FDA in America, and as the list below shows the types of treatment that have been tested and proven continues to grow. The US FDA accepted the use of PEMF devices for the treatment of Non-Union bone fractures back in 1979, urinary incontinence and muscle stimulation in 1998, for the treatment of depression and anxiety in 2006, and for brain cancer/tumours in 2011. The device we use is known as an Aureon, and it delivers a very gentle pulsed electromagnetic field that is spread across a wide range of frequencies. The end result is a treatment time of just 20 minutes that works systemically and can have a profound effect. Some of the research literature indicates that the ability of the PEMF to work on a variety of issues - for example; improving blood flow, repairing broken bones and cancers - appears to be associated with an increase in the body's production of stem cells. A device that can stimulate our own stem cell production is something very unique and while this theory hasn't yet been proven beyond doubt, it is creating a lot of interest. Quite simply, the stem cells "migrate" through the blood to the area in the body that has the greatest need. The Aureon unit is recommended to be used in a clinic environment but can also safely be used at home(yes we can sell you one) to treat pretty well any ailment, it also can be used in conjunction with medical treatment without any adverse side effects. Because the Aureon appears to work by inducing the body to grow its own stem cells, and we know that stem cells are the precursor to EVERY cell in the body, the body is then armed to allow the stem cells to migrate to the damaged area and replace dead, old, dysfunctional or damaged cells. This allows complete regeneration to take place. Potentially this device allows previously incurable conditions or even genetic disorders to return to a normal state. Stem cells can potentially repair damaged DNA. So far we have seen positive changes for patients with acute and chronic pain, cardio-vascular disease, broken bones that don't heal, cancer and lots more. The healing potential is huge! Here is a page on our website that gives a little more info, about PEMF's but of course the "proof is in the pudding" so give us a call and make an appointment to come and have a series of sessions, or of course pass this newsletter onto someone you know may benefit. We feel this really is the medicine of the future, so why wait!? Summer is over and now its that time when our body sometimes struggles. An important part of our body that often gets overlooked is known as the lymphatic or lymph system and its another part of us that works away in the background doing a number of very important tasks. Diseases and other problems of the lymphatic system can cause an accumulation of fluid or oedema and other symptoms of fluid balance. Problems with this system can compromise the body's immunity. The lymphatic system consists of lymphoid tissue and a network of vessels that carry the clear fluid called lymph. 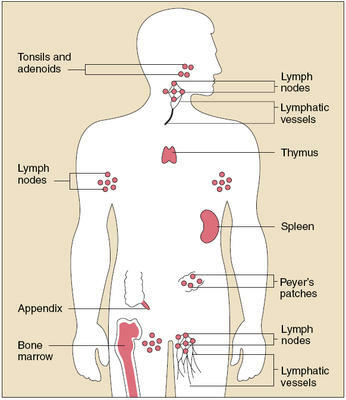 Lymphoid tissue is found in and around many organs, we are all familiar in particular with the lymph nodes. The system also includes all the structures dedicated to the circulation and also the production of lymphocytes. The lymphatic organs, which includes the spleen, thymus, bone marrow and the lymphoid tissue associated with the digestive system are all a part of this massive interconnected network. The main purpose of lymph nodes is to protect the body from "foreign" invaders. These invaders may be bacteria, viruses, or other harmful substances. Its as much the "other harmful substances" or toxins that create many issues in our modern society, these toxins may continue to accumulate in lymph tissue for many years, slowly moving you closer to an event that will then force you to address what has been happening. One of the Heel products that I have used for many years is Lymphomyosot, possibly another unsung hero that makes a difference with the lymphatic system, I will often use this as a gentle way to start a detoxification programme for those who are a little "fragile". Recent research has shown that a natural preparation that was developed to support the lymphatic system (Lymphomyosot) significantly accelerates wound healing and reduces lymph congestion in the tissue. The end result being less discomfort from the swelling and a reduction in the time taken to heal tissue, in fact the research shows healing time cut in half! So by simply supporting the body and encouraging better lymph function we can feel better, so much quicker. In children, the immune system is actively developing and as such may need to mount a defence more often than in adults, who have been exposed to many infections and have mature immune systems. Lymph glands swell due to congestion with lymph, immune cells and cellular debris and often we won't even be aware of any extra activity in the lymph system. Lymph node swelling may or may not cause pain. The lymphatic system is the only pathway through which toxins can drain from the matrix - you can look at the matrix as that part of us that is in between everything else, the matrix separates the organs from the bones from the muscle etc. Most of our toxic burden will be locked up in lymph tissue - or within the matrix - and in fact very little toxic material is transported through the vascular system. We tend to store the toxins in either adipose (fatty) tissue or lymph tissue and if the lymph drainage is poor, many toxins will remain in the "matrix". Among diabetics, the supply and removal processes for cells are considerably restricted since the paths between the blood vessels and the lymph vessels on the one hand and the destination organ (nerve cells) on the other hand is impaired as a result of Diabetic neuropathies. Another study showed that, for diabetic polyneuropathy, using Lymphomyosot with the conventional therapy of alpha-lipoic acid increased its efficacy. In patients administered both medicines, oedema was reduced and sensation improved in a majority of patients. The homotoxicological approach(which includes the use of Heel Biological medicines) aims at optimising lymphatic function in order to improve nutrition and waste removal on the cellular level. Homotoxicology pays particular attention to the extracellular matrix as the transit area between capillaries and the cells (including neurons and their axons) that they supply with nutrients. According to this study, Lymphomyosot aids in reducing oedema and improving peripheral circulation when used in conjunction with standard treatment, in effect making it a “therapy catalyst”. So whether it is to improve recovery after some trauma or surgery, helping the kids immune system, removing toxins or lessening the struggle for diabetics, looking after the lymphatic system can be particularly helpful. While Dr Oz may be a "made for TV Dr" its interesting to note that back sometime he was up with the play with some of the more basic applications of PEMF therapy. While this video clip is mostly about inflammation, be aware the inflammation on a microscopic scale is at the heart of many diseases. In a multicenter observation study involving 3,512 patients and 264 doctors, Zenner and Metelmann reported the efficacy of Lymhomyosot in a wide range of indications including lymphoedemas of various origins, inflammatory or infectious conditions of the upper respiratory tract and general susceptibility to infections. In acute diseases, the average duration of treatment was approximately 1-3 weeks, Whereas treatment lasted from 1-3 months in chronic and recurrent conditions, sometimes for as long as 6 months. In addition to being compatible with a variety of other therapeutic strategies, Lymphomyosot has been successfully used to treat a wide variety of inflammatory acute and chronic conditions such as sinusitis or tonsillitis. How do you use Lymphomyosot? In general use the doses shown below would be appropriate for most individuals. Children 2-5 years: 5-8 drops 3 times daily. The Heel products have been a favourite of mine for many years, quite simply because they are effective and are easy to use. To find out more about PEMF therapy or to make an appointment, please give us a call on 07-3436909, we would love to speak to you!